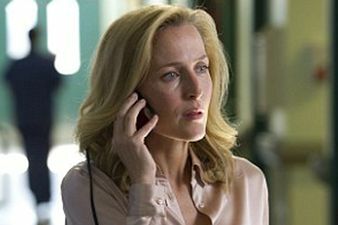 I’ve just finished watching The Fall, BBC2’s new police drama miniseries. Or have I? The open-ended nature of the last episode watched had me rushing to IMDB to see if Netflix had failed to purchase the series’ remaining instalments. This being a fairly common occurrence with an online content provider which faces rights restrictions preventing them from making the latest episodes of TV series available to users. My online search concluded this was in fact the final episode and that this ending was considered ‘controversial’. The word used to describe an adverse response to something offensive or provocative having been done or said but now simply means that a lot of people with Twitter accounts don’t much like it. While searching, I found vigorous defences of the ending by creator Allan Cubitt on grounds of authenticity, arguing that the ambiguous ending gestured plausibly towards the ongoing difficulty of police work and the lengthy timeframes of major investigations. This made sense. The series regularly disturbed and played with the conventions of its genre. It puts The Fall in league with TV crime series like The Wire and The Shield which were equally determined to show policing as a messy, unresolved business. Case closed. But wait a minute. I’ve just read that the BBC has commissioned another series of The Fall to be broadcast in Autumn 2014. I’m assuming this will continue the story of the first series and not be a totally different crime drama under the banner of The Fall nor merely a new case for DSI Gibson. There is certainly precedent for these latter options in British crime miniseries. BBC1 multi-arm legal strip Criminal Justice created a completely new set of characters and storylines for its second run and there’s a tradition of detective dramas like Prime Suspect and Cracker holding on to their lead detective whilst continually updating the cases they investigate. It is, however, unheard of to not wrap up the previous case before moving on to the new one and if the next season of The Fall were to do this the show would be genuinely breaking new ground. So if it is to be a continuation, then the ending of the (first) series should be thought of as more of an end-of-season cliffhanger, a suspense-mongering technique designed to keep viewers hooked until its return-an echo of serial TV melodramas like Dallas-and only realistic by default. Who Shot J.R.? Much difference? I’m put in mind of another couple of TV finales which blur the boundaries between cliffhanger and open ending. The first of these is the final episode of Twin Peaks, which lies at the close of its second season on the air. The series ends on a note of uncertainty about the fate of its protagonist, Agent Cooper. Given that the show’s co-creator was avant-garde filmmaker David Lynch and that the programme was challenging and innovative in its storytelling, critics and audiences alike were quick to assume that the ending was a deliberate subversion of closure and resolution and an artistic statement on the nature of TV endings. This belies the fact that the ending was written in full expectation of a third season which an abrupt cancellation, following a drop-off in ratings and acclaim, put pay to. This suggests the season ending was meant to work as a cliffhanger in the manner of the previous season, which left the lives of most of the main characters dangling in the balance. This is not to say that the cliffhanger wouldn’t have been met with something surprising and original, as with the last one, but it still reeks of conventional storytelling. Was the ending of Twin Peaks really breakthrough? The second of these is the ending of The Sopranos, following six seasons and eight years on the air. A suspension of narrative closure in the form of a literal blackout, it too bore the label ‘controversial’ although ‘uniformly hated’ would be closer to the truth. I initially thought the ending a technical error on the digital station E4 where The Sopranos was first broadcast in the UK, having become accustomed to its legacy of transmission problems which routinely turned my screen ratios into accordions. Alas, the mistake was on the behalf of creator David Chase who had sacrificed all that was good about the show (music, character arcs, engrossing storytelling) for an arch and pretentious modernist gesture, which put art before content. Or so I first thought. The cynic in me now thinks that the ending was merely an arty smokescreen for the kind of cop-out ending that refuses to make any big decisions about the characters in order that the franchise may live on. Think David Chase is above this? Lest we forget Chase presided over the mid-90s spin-off TV movie series of The Rockford Files. It is only James Gandolfini’s death that renders a revival an impossibility. My unofficial job title for the last couple of months has been PR Officer for American TV. Recently I’ve been introducing G to a number of my favourite US TV shows using the vast-if routinely inaccessible-archive of programming on Netflix and HuluPlus as well as my DVD collection, which lies within a handful of colossal CD carry cases in an object-fetishist’s version of efficient storage. Some programmes sold themselves. It didn’t take long for G to figure out that Northern Exposure was an engaging, endearing and intelligently written piece of television and not the geriatric-baiting fodder she suspected. Despite its nausea-inducing camerawork, the viscerality, complexity and wit of The Shield also won G over instantly. But there was always a fly in the ointment, and in every application. G took issue with the titles of both shows, Northern Exposure for its meandering moose and The Shield for its kid-friendly jingle. I tried to explain that these were some of the most iconic and beloved aspects of these shows but it fell on deaf ears and blind eyes. Much as I love them, I can see why G thinks these gimmick-driven, one-dimensional titles might be doing a disservice to the shows. But sometimes G’s sales resistance is difficult to break down. Her response to the Pilot of Breaking Bad was ‘That’s it?’. I wanted to argue with her but it did seem slight in comparison to later episodes and I didn’t think my observation that it was a ‘postmodern version of MacGyver’ would make it seem any more profound. Twin Peaks was apparently ‘all dialogue’, which is a new one for Lynch critiques, and only became visually stimulating when the donuts came out. In these instances, I did what every good salesperson should and tried to associate the product with something the customer knows and likes. ‘It’s like Northern Exposure…but with murders’ I said of Twin Peaks. ‘It’s Malcolm in the Middle on meth’, I said of Breaking Bad. ‘You watch Malcolm in the Middle? What are you, 10?’ G responded. I guess my cold reading skills aren’t as good as I thought. Or maybe the prospect of Bryan Cranston in underpants isn’t as alluring to the rest of the world as it is to me. On other occasions I became a victim of my own salesmanship. I’ve managed to hook G on a hoard of arresting novelty shows that I’m fast losing interest in. This means I’m watching their tiresomely protracted runs again as exactly the point when I’ve given up on them. 24 and Damages are the chief culprits here, both of them wildly overlong elaborations on an initially brilliant premise. I didn’t think I could lose much more respect for 24 than had already gone but sitting through those final few seasons again with their automated scenarios and tedious twistiness I think it went subterranean. Worse, as the gruesome compulsion to clear all the episodes in as little time as possible accelerated, the show became like wallpaper in our house, an ever-present wall-adornment barely noticeable to our jaded eyes. G is still at the point in Damages where the promise of finding out what will happen in the ongoing story arc is yet to be beaten down by the knowledge of what does happen. But I can see this fading fast. G’s already worked out that they’re only keeping a serial story strand so as not to lose Ted Danson from the series. A reason for sticking with Damages. Although G came to Mad Men much later than me, thus allowing me to cherry-pick the most tolerable episodes from the dreary first few seasons, we’ve both turned sour on the series at about the same time. Actually, G got there first before I was willing to admit that the party was over. Midway through the most recent season, the sixth overall, I remember her asking ‘Where’s the advertising gone?’, which should have been enough of an alarm bell given that it’s the equivalent to Cheers forgetting to feature beer. For me, though, it was the sexual reunion of one of the series’ estranged couples that signalled the end of quality. Breaking a rule of good television established in Northern Exposure, it haphazardly thrust (in every sense of the word!) two characters together whose entire function was to carry the suggestion of romantic involvement without ever reaching that point. G turned to me the other day and said ‘I miss British TV’. I think it might be time to start offering a new product line. If you like these blog posts why not follow my new twitter account @tvinaword where I create new words to describe TV shows. Send your own and if I like them I’ll retweet them!